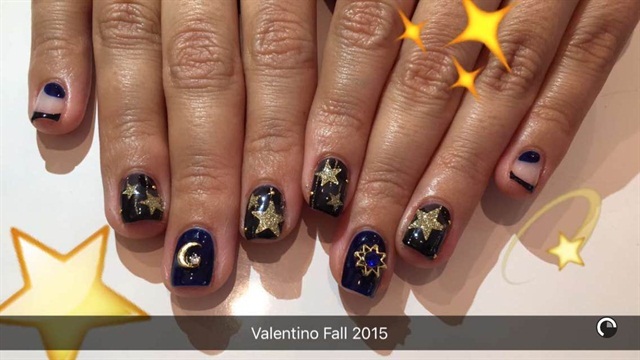 We think nail tech Ashley Crowe is an out-of-this-world nail artist. Better known as Astrowifey, Crowe is based in Chicago. However, a recent stint with L.A. designer and nail art lover Melody Ehsani gave her the idea to do a pop-up at Ehsani’s flagship store. This visit is Crowe’s first trip to L.A., though she hopes to do more pop-ups in the future, especially if it means escaping the harsh Chicago winter. She says she chose Ehsani’s storefront over a salon so that she could give her L.A. fan base a true nail art “experience.” The atmosphere at Melody Ehsani is definitely an experience (click here to see what we mean). Nail art inspiration is everywhere in the form of jewelry and even nail art printed clothing done by Katrina + Dodo. 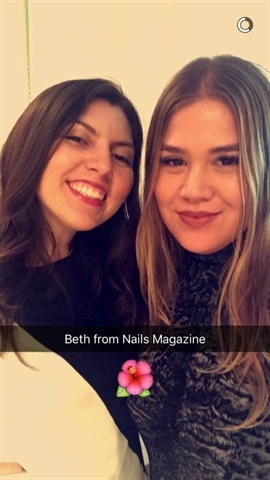 Her favorite hashtag of the moment is #naturalnailgoals, which she started because she is all about natural nails. “You should love your own nails and be proud of them,” says Crowe, who prefers hand painting with gel-polish over doing extensions. She recently learned she is allergic to acrylates! But of course that’s not going to stop her from doing what she loves most. She does have to wear gloves with layers of cotton underneath though. All the more reason to love natural nails! Crowe’s newest social media obsession is Snapchat. “It’s forcing me to be more personal on social media and take more fun shots,” she says of the platform. If you are inspired by Crowe’s work and want her to see your rendition, just tag her in your Instagram pic. Crowe still browses the platform regularly and uses it to discover new artists. Her latest finds: @sohotrightnail and @bakenekonails. 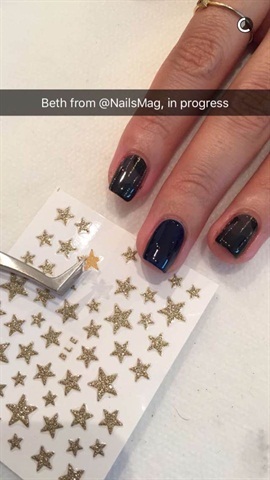 Speaking of social media, the nail art she did for me was inspired by a Valentino gown that she pinned on Pinterest. Another social savvy tip: Crowe uses one iPhone to take a social media pic and uses another’s flashlight to light the image from behind. It’s kind of genius. The other perk of doing nail art in an accessory-filled store is that there are plenty of props. Crowe took a pic of my nails holding star earrings. If you want to meet Astrowifey, make sure and head out to ABS Chicago in March!